Can The New Mini Cooper S Cut It As A Posh Hot Hatch? 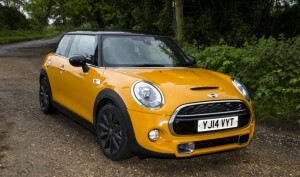 With some scorching new rivals on the market, has the hottest version of the current Mini got what it takes? If you’re after a hot supermini, you’re well catered for these days. There’s the Ford Fiesta ST, the Peugeot 208 GTI and the Renault Clio RS, to name but a few. But what if you want a little more badge kudos? For that, you’ll want a Mini, and that’s a safe choice; hot Minis have a habit of being rather good, after all. But does the newest Cooper S continue that trend?